Oklahoma Railroads And Railfanning In "The Sooner State"
Oklahoma is one of those unique places in the country that offer a mix of mountainous and flat, wide open operations. The eastern half of the state is somewhat mountainous and difficult while the western half is your stereotypical scene of America's central plains; flat and open country with farmland and grain elevators dotting the landscape. With Oklahoma being situated roughly in the middle of the country it was, historically, home to several well known granger and western railroads looking to primarily tap the state's agricultural regions. While today, the state has lost about half of its original rail infrastructure it is still an important state with the Union Pacific, Kansas City Southern Railway, and BNSF Railway all having important lines running directly through Sooner country (the UP and BNSF both operate through routes in the state). 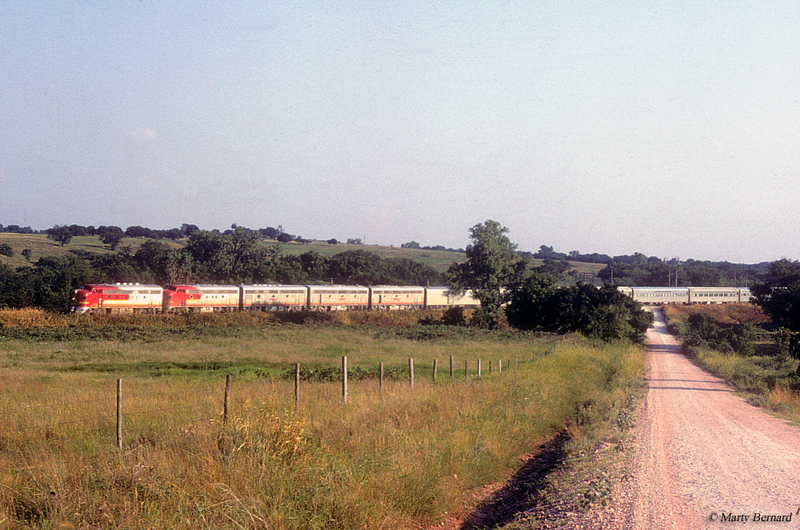 Additionally, Oklahoma is still served by several smaller railroads. 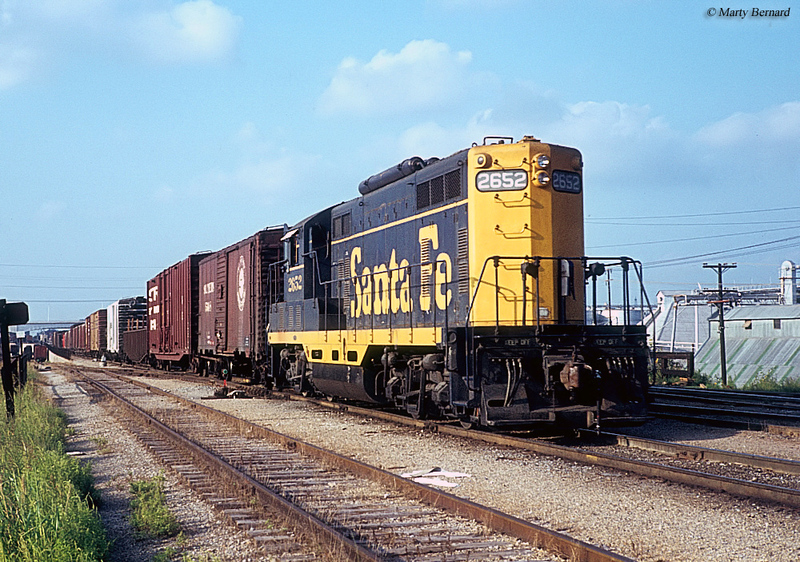 Oklahoma railroads date back to 1871 (36 years before Oklahoma officially became a state) when the Missouri-Kansas-Texas Railroad, long known in late years as The Katy, entered Indian Territory (as it was then known) heading south to connect to New Orleans. The railroad dated back to the Union Pacific Railway of 1865, intended to connect Junction City, Kansas with New Orleans. The railroad changed its name as the Missouri, Kansas & Texas Railroad in 1870 to better reflect its goals as the company would never reach New Orleans. It became part of Jay Gould's empire in 1880 through the Missouri Pacific system. However, it would connect St. Louis with Kansas, Oklahoma, and much of Texas. Following the Katy, Oklahoma would find itself home to several classic lines by the early 20th century. 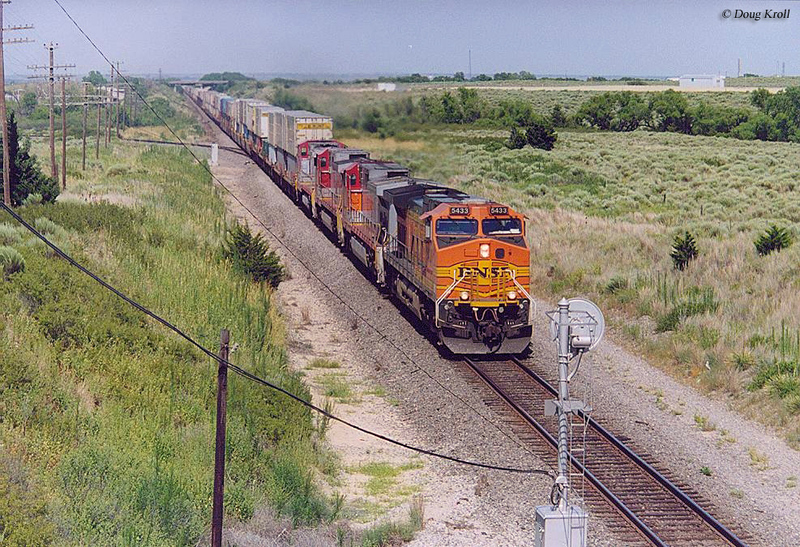 Today, Oklahoma is predominantly made up of the BNSF, Union Pacific and Kansas City Southern Railway although there are also a number of short lines. 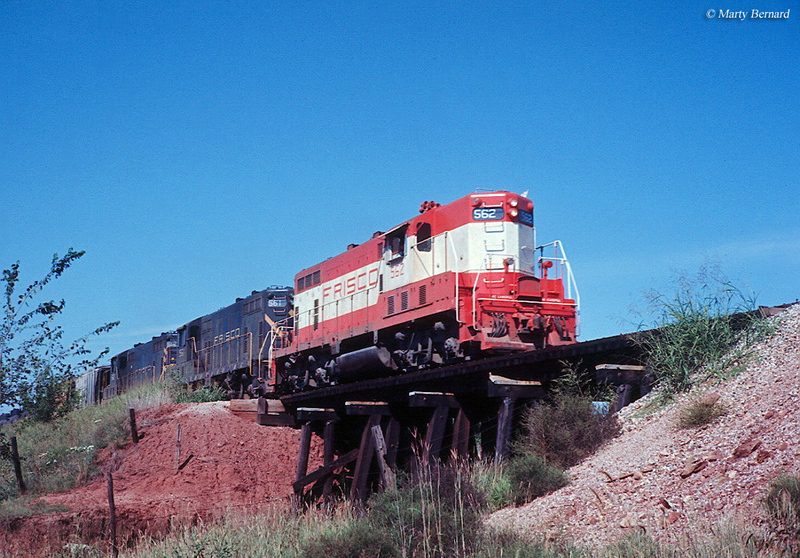 These smaller railroads include Class II, regional South Kansas & Oklahoma Railroad as well as short lines Arkansas-Oklahoma Railroad, Arkansas Southern Railroad, AT&L Railroad, Blackwell Northern Gateway Railroad, Cimarron Valley Railroad, Grainbelt, Farmrail, Hollis & Eastern Railroad, Kiamichi Railroad, Northwestern Oklahoma Railroad, Stillwater Central Railroad, Sand Springs Railway, Texas, Oklahoma & Eastern Railroad, Tulsa-Sapulpa Union Railway, and the Wichita, Tillman & Jackson Railway. Oklahoma's railroad network currently consists of over 3,200 miles of trackage. This total is about 49% of the state's peak mileage, that reached nearly 6,600 miles in 1920. Most of Oklahoma's losses since that time have mostly been due to the abandonments of unprofitable secondary and branch lines centered around farming and agriculture. 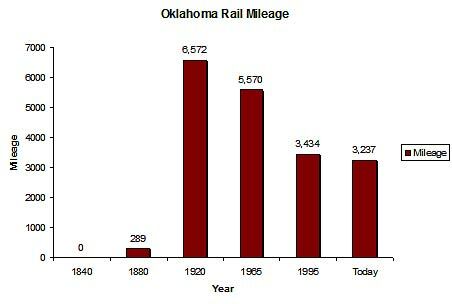 For more information about Oklahoma, in terms of its route mileage over the years please have a look at the chart above. In any event, if you tire of watching the live freight railroading then be sure and visit one of Oklahoma's many museums or tourist lines. For instance, the Farmrail short line system operates an excursion train and the Oklahoma Railway Museum offers train rides and features a large collection of railroad equipment. Unfortunately, the state does not have a lot of museums to choose from although there are a few including the Cimarron Valley Railroad Museum Frisco Depot Museum, Oklahoma Railway Museum, Railroad Museum of Oklahoma, Waynoka Air-Rail Museum, and Yukon's Best Railroad Museum. Also, excursion trains include the Farmrail Tourist Train and the Oklahoma Railway Museum offers rides. 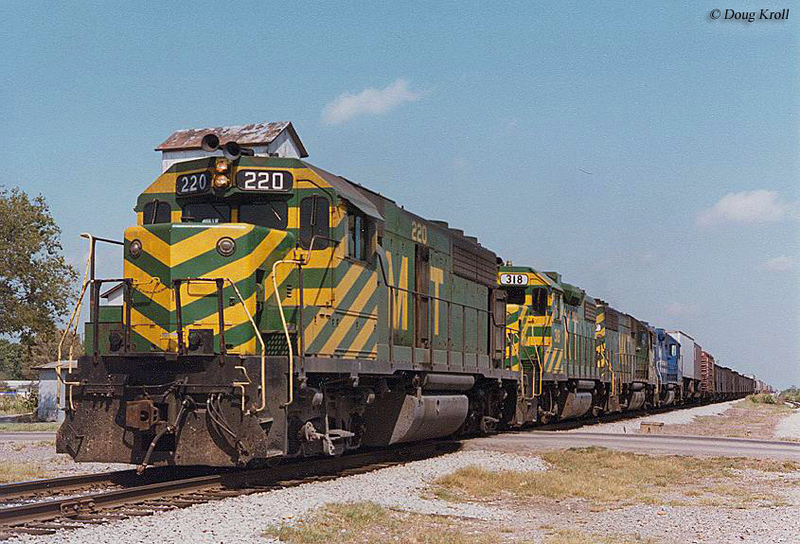 In terms of Oklahoma's passenger rail operations it has had a slight resurgence since 1999 when Amtrak began operating the Heartland Flyer that connects Oklahoma City to Fort Worth.